In this article, we have served 25 questions out of various previously asked questions in several recruitment exams. Such questions will prove fruitful to the aspirants. So, Stick to it and take it placidly. The SSC team of Jagranjosh.com has built up a set of 25 questions taken from the various previous examinations i.e. IBPS, RBI, SSC and other exams. 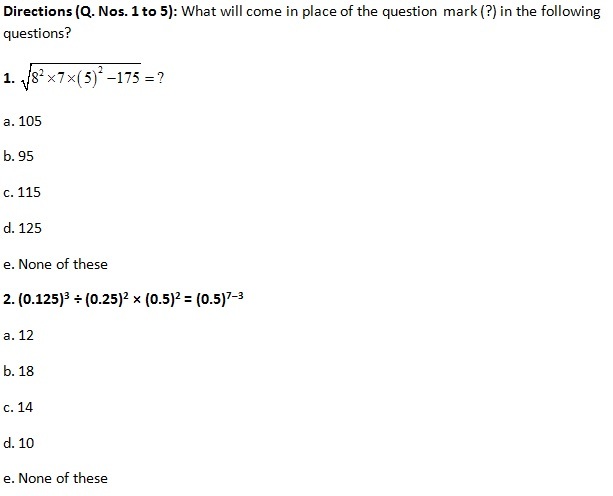 During handling these questions, Set time frame in mind for getting skilled in these examinations, especially. 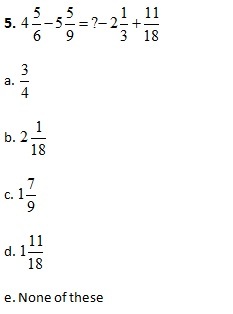 As quantitative section requires the following attributes from you. - Hasty perception of Questions. 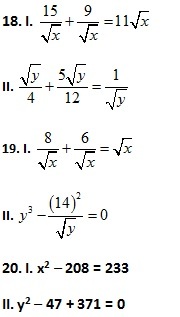 - Superior comprehension of observing question in terms of formulas. - Diverse and alternative tricks to extricate questions and etc. Directions (Q. Nos. 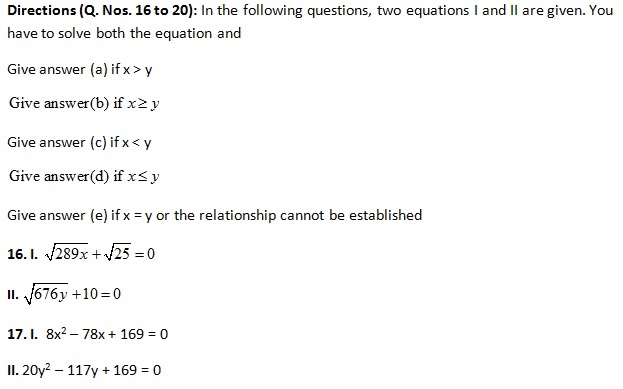 6 to 10): What approximate value will come in place of question mark (?) in the following question? (You are not expected to calculate the exact value. 6. 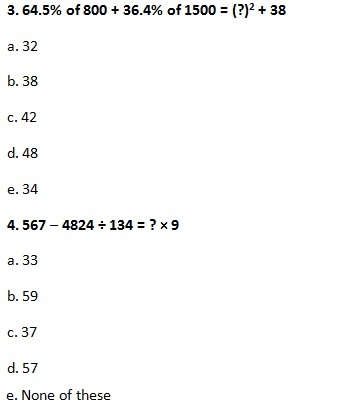 (41.33)2 + (7.96)2 ─ (22.02)2 = ? Directions (Q. Nos. 11 to 15): What will come in place of question mark (?) 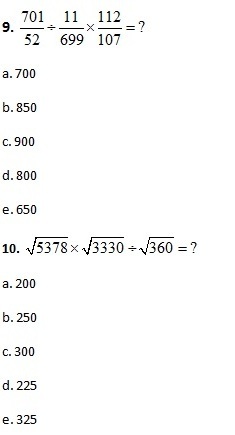 in the following number series? 21. Train-A crosses a pole in 25 seconds and another Train-B crosses a pole in 1 min and 15 sec. Length of Train-A is half length of Train-B. What is the respective ratio between the speeds of Train-A and Train-B? 23. Rohit has some 50 paise coins, some Rs. 2 coins, some Rs. 1 coins and some Rs. 5 coins. The value of all the coins is Rs. 50. Number of Rs. 2 coins is 5 more than the Rs. 5 coins. 50 paise coins are double in number than Rs. 1 coin. Value of 50 paise coins and Rs. 1 coins is Rs. 26. How many Rs. 2 coins does he have? 24. Puneet scored 175 marks in a test and failed by 35 marks. If the passing percentage of the test is 35 per cent, what are the maximum marks of the test? 25. The length of a rectangle is twice the diameter of a circle. The circumference of the circle is equal to the area of a square of side 22 cm. What is the breadth of the rectangle if its perimeter is 668 cm?